I am in the Pacific time zone, looking at driving times in Ontario, Canada. 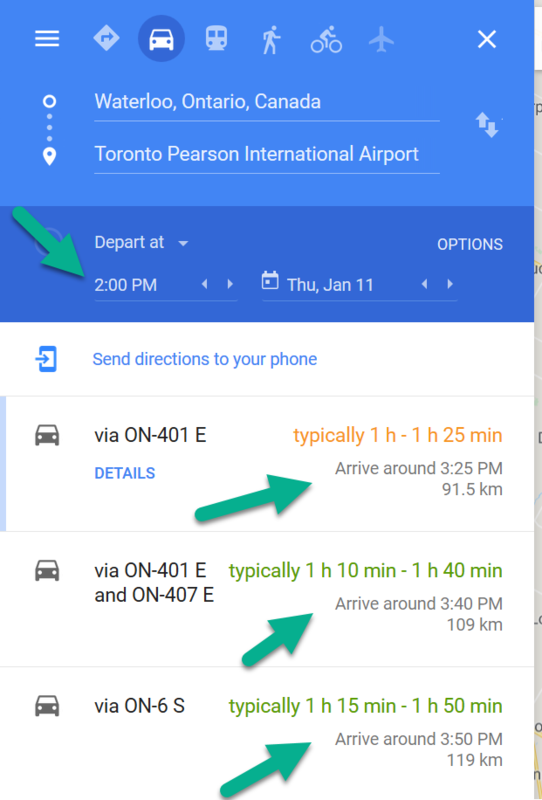 I heard that traffic can be bad, so I want to figure out expected driving time to the Toronto airport. But when I dial up times in Google Maps (see below), it is unclear to me what time zone the times refer to. Are the times my browser/PC's clock time zone (Pacific), or are they the local time zone of the start or ending locations entered in maps (in this case, eastern US)? As you can see it takes into account the time zones, as the arrival time is actually before the departure time (because it's offset by the time difference). Just to confirm, I looked up another trip by train this time and I chose a time 10:00 AM. 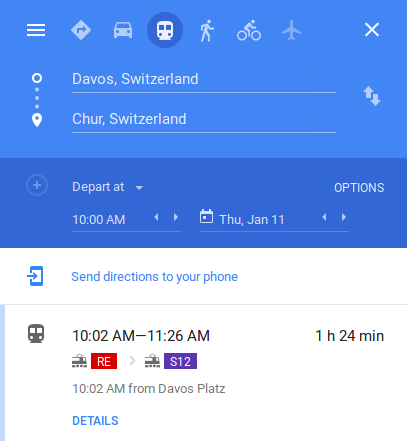 I'm located in GMT+8, the train trip is in Switzerland, which is GMT+1. So if it is taking my computer's time into account, this would give try to find connections leaving at 3:00 AM. Of course, it wouldn't find any, as there are no trains running in the middle of the night. As I get connections, this must mean that it is considering 10:00 AM in Switzerland and not where my computer is located. 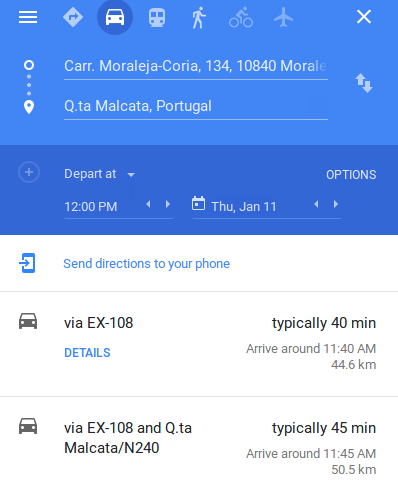 I think with this (and of course also the official manual stated in the other answer) it's quite safe to say that Google gives you the local time at your departure and arrival points and does not take into account your system's local time. It's the locale's (ie the place you're looking at, not your phone/browser) time, of course. Wouldn't make sense if it were anything else. There's some information about that, but it's in the Android Developer's Documentation – not exactly light reading. Not the answer you're looking for? Browse other questions tagged online-resources driving maps traffic timezones or ask your own question. How long does it take for Google Maps to include a newly opened highway in its driving directions?